MISSISSAUGA, ON, Jan. 17, 2017 /CNW/ – Subaru Canada, Inc. (SCI) is delighted to confirm it will continue its support as presenting sponsor of the 2017 Canadian Rally Championship (CRC) season, with the winning combination of driver Antoine L’Estage and co-driver Alan Ockwell leading the Subaru team. The 2016 season was truly impressive, with Subaru winning its second consecutive manufacturer’s title and its 12th Canadian Rally Championship for Marques since joining the CRC. Subaru vehicles consistently achieve excellent performance in this gruelling and extreme motorsport, proven by eight Subaru vehicles finishing in the top ten at the final event of the 2016 season, the Big White Winter Rally in December. After overcoming some difficulties in the first half of the 2016 season, Subaru Rally Team Canada (SRTC) driver Antoine L’Estage won the 2016 Driver’s Championship, making this his ninth time winning the title. The other half of his team, Darren Garrod, won the co-driver’s title. SRTC has a change for the 2017 season with co-driver Alan Ockwell returning to the team. Having driven with L’Estage for many years on the SRTC team and winning the co-driver title in 2015, Ockwell is sure to make this experienced pairing the quickest car and driver team to ever compete in the CRC. 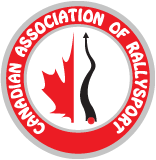 The seven-event 2017 season starts on February 3 and 4 at the Rallye Perce Neige in Maniwaki, Quebec. Subaru is confident that our 2017 Subaru Rally Team Canada team, led by L’Estage and Ockwell, will perform superbly. Subaru Canada, Inc. is a wholly owned subsidiary of Fuji Heavy Industries Ltd. of Japan. Headquartered in Mississauga, Ontario, the company markets and distributes Subaru vehicles, parts and accessories through a network of 92 authorized dealers across Canada. For more information, please visit www.subaru.ca or www.pr.subaru.caor follow @Subaru_Canada on Twitter.